Drake along with his wife and daughter has moved out west to begin a new life. They are a happy family he adores his wife and daughter as much as it is physically possible but one night a monster comes into their camp and ruins his life irrevocably, leading Drake on a search for his missing wife after he has been scarred beyond recognition. But soon he finds that the monster is still out there and thirsty for his blood. 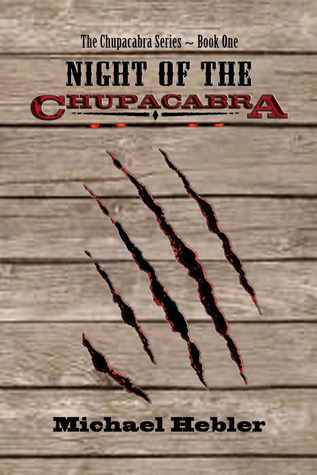 I do not think I have come across another book like this one, not only is it a fun western but no other author has brought to life the mythological Chupacabra in such a way. Michael Hebler has definitely stumbled onto a cast of characters and a villain so exceptional that this is a remarkable and fun horror novel. I am not a fan of westerns in any format, I find most of them boring at best, but the way the author blended a good old fashioned western with a monster that has haunted the west for ages is worth the read.